We are Labour Party members. Liz was an active member between 1979 and 2001, serving eight years as an elected Labour councilor in the London Borough of Islington, and two years as an elected constituency representative on the Party’s National Executive Committee. She left the Labour Party in 2001 but rejoined in 2015 following Jeremy Corbyn’s election as leader. She is a member of Hackney North & Stoke Newington CLP. Sue has been a member of Islington North CLP since 1982 and has held many offices in her ward, Highbury East: she is currently vice chair and GC delegate. Sue is Jewish and on the board of trustees of her local synagogue, Kehillah North London. She has campaigned and worked against anti semitism and other forms of racism for many years, partly inspired by her family story: her father was the sole survivor of his family, most of the rest of whom were murdered in Auschwitz. He arrived on the Kindertransport organized by Sir Nicholas Winton. Like Sue, he was a signatory to the Jews for Justice for Palestinians declaration. Liz is not Jewish, but her late partner, Mike Marqusee, was Jewish and wrote extensively on his identity as a Jew, his anti-zionist politics and anti-semitism: If I am Not for Myself (Verso, 2008). Liz and Mike travelled to East Jerusalem in 2010 to investigate and report on Palestinian housing rights for Advocates Sans Frontiers (Lawyers without borders). Both of us are also involved with law and justice issues. Liz is a barrister specializing in housing law. She is an Honorary Vice-President of the Haldane Society of Socialist Lawyers and was Chair of the Haldane Society between 2006 and 2014. Sue provides policy advice to the Strategic Legal Fund for Vulnerable Young Migrants and teaches and writes about housing law in relation to migration. Is there a problem with anti-semitism in the Labour Party? How can the Labour Party recognize anti-semitism and respond to it appropriately? Jewish representation within the Labour Party. This submission is partly based on an article we wrote for the Morning Star newspaper which commented on some of these issues. The question “Is there anti-semitism in the Labour Party?” has been endlessly discussed in recent weeks by media commentators, many of them hostile to the Labour Party, some of them not particularly friendly to Jews: step forward the Daily Mail who hounded the Labour Party’s previous leader. Our answer is “Of course there is”. Like other manifestations of racism, anti-semitism is deeply engrained in Britain, and the Labour Party is not immune. Our view, as people who have spent hundreds of hours in Labour Party meetings and campaigning on the doorstep, is that there is no more anti-semitism in the Labour Party than there is in society in general and, because the Labour Party is a progressive movement, probably rather less. With our combined membership of over 46 years in the Labour Party, and each of us having attended literally thousands of Labour Party meetings, we can honestly say that we have never personally experienced overt anti-semitic actions. Each of us can remember only one or two incidents when people might have used inappropriate language. Such incidents are far more common in society in general than in the Labour Party. When they arise in the Labour Party, of course, they have to be dealt with appropriately. Have incidents of anti-semitism increased since Jeremy Corbyn became leader? This is the charge levelled by right-wing commentators and people in the Labour Party who are hostile to Corbyn’s politics. They insinuate that, because Corbyn is a longstanding supporter of Palestinian rights, then those of his supporters who share that commitment are more likely to be anti-semitic than others. That is a slur on a number of levels: against Corbyn personally (whom even his harshest critics have accepted is not anti-semitic), against the new membership of the Party identifying as supporters of Corbyn, against the Palestinian solidarity movement and, by Islamophobic innuendo, particularly against Muslim members. Our answer is an emphatic “No”. Most of the incidents of undeniably anti-semitic comments date from before last year, well before Corbyn became leader and the massive increase in Labour Party membership took place. However, those comments are now being dug out to feed a completely false story that associates a move to the left with anti-semitism. The crescendo of allegations in the-recent past is, in our view, not evidence of a rise in anti-semitism, but of a concerted effort to find incidents that can be used to feed that narrative. What are these incidents of anti-semitism? And how worried should we be about them? All of the reported incidents are comments: some of them we do not believe to be anti-semitic, others are offensive and/or anti-semitic comments, which have no place in a progressive Labour Party, but they are words rather than actions. The Royall enquiry into allegations made about the Oxford University Labour Club has not been published, but Jan Royall has gone on the record saying that she found no evidence of institutional anti-semitism. No Labour MP has organized Nazi uniforms for the guests at a themed stag party for which the groom was prosecuted under hate legislation in France: step forward Aidan Burley, happy recipient, while a Tory MP between 2010 and 2015, of funding from Conservative Friends of Israel. The fact that the allegations of antisemitism within the Party have been so toxic proves the point, in a perverse way. A Party where such comments were routine and accepted at some levels would not have reacted with such horror. Freedom of speech, inside and outside the Labour Party, on political issues is obviously essential. And freedom of speech must include the freedom to criticize, to take positions that others might disagree with or even find offensive. What it should not include is hate speech. It is critical that the current controversy around anti-semitism, and this inquiry, does not result in Labour Party members being prevented from discussing issues arising out of Israel-Palestine. That could happen in two ways. The inquiry could expressly rule that certain expressions, used in relation to Israel-Palestine, are anti-semitic. Or members might feel inhibited from expressing certain views. Each of those would be wholly an undesirable outcome. The conflict in Israel-Palestine is a global issue. Millions of people all over the world hold passionate opinions about it. It has elements of analogy with other conflicts, which is why criticizing Israel for its actions in taking over Palestinians’ land, denying Palestinians their rights, mistreating refugees, turning a blind eye to appalling racism against African refugees and migrants, and engaging in military assaults against Gaza or military incursions against Palestinians living in the West Bank, or in Israel, is not “singling out” Israel. The conflict is also unique. Israel declares itself an explicitly Jewish state and claims to speak for not just its citizens but for Jews anywhere in the world. For this reason, supporters of Israel can conflate the interests of Israel with those of the Jewish people. And they sometimes accuse critics of Israel, and of the actions of the Israeli government, of being critics of Jews, generally, ie anti-semitic. As longstanding activists in solidarity with Palestine, we acknowledge that anti-semitism can sometimes be seen in that movement as elsewhere. It is, however, important to distinguish between anti-semitic discourse or threats, which blame all Jews for the actions of the Israeli government or target them, and offensive language. It is offensive to equate the Israeli government’s actions with those of Nazi Germany for obvious reasons. We have only occasionally encountered such lazy, offensive slogans, but it is our view that such slogans need to be challenged, but not banned. There is nothing anti-semitic about criticizing the Israeli government’s actions and their effect on Palestinians. Nor is it anti-semitic to call for recognition of an effective Palestinian state. It is not anti-semitic to support the right of the Palestinians to defend themselves from military assault. Indeed, it is not anti-semitic to argue that it is not in the interests of Israeli citizens to continue to live in a state that privileges Jewishness (and some specific denominations of Judaism) over other faiths and denominations or ethnicities. While we have some sympathy with those who argue that use of the word “Zionism” in discussions about the way forward in Israel/Palestine has become lazy and not helpful to proper understanding, it is not anti-semitic to argue that Zionism as expressed in the Jerusalem programme is an exclusive doctrine, privileging Jews over others, and should be opposed. We are not here arguing for a way forward in the Middle East. We have our own views and this inquiry, obviously, is not the place to determine that hugely difficult issue. Our point is about freedom of speech. So long as criticism of Israel does not include hate speech against Jews, and criticism of Palestinian action does not include hate speech against Muslims or Arabs, then Party members should feel free to express themselves. How can the Labour Party recognize anti-semitism and challenge it appropriately? Part of the problem is that there is no universally recognized definition of anti-semitism. “Antisemitism is a certain perception of Jews, which may be expressed as hatred toward Jews. Rhetorical and physical manifestations of antisemitism are directed toward Jewish or non-Jewish individuals and/or their property, toward Jewish community institutions and religious facilities.”. European Union Monitoring Centre on Racism and Xenophobia (and dropped by its successor agency) because the latter conflates criticism of Israel with hate speech towards Jews. There should obviously be zero tolerance of any anti-semitic words or actions by Labour Party members. However that does not mean that the response to anti-semitic words or actions (or other racist words or actions) should always be identical. We do not believe that all anti-semitic comments should always and necessarily result in disciplinary action. The appropriate response should depend on various factors. support all UCU’s work around combating racism and Antisemitism is central to fascist ideology. develop similar resources to deal with racism, islamophobia and other forms of hate speech or actions. We wish to comment on the suspensions of four Labour Party members: Vicky Kirby, Naz Shah MP, Ken Livingstone and Jackie Walker. Each of these cases illustrates a different point. Overall, these four cases show the complexity of these issues. Vicky Kirby: as we understand it, she was suspended following several tweets made some time ago which appear to be overtly anti-semitic and/or offensive (we note that at least one was quoting from a mainstream film). We do not wish to comment on any subsequent disciplinary action but merely observe that the comments as reported were overtly anti-semitic and made in public by someone who was briefly a prospective parliamentary candidate. Naz Shah MP: the comments were made in a semi-private forum (facebook) and in the context of Operation Protective Edge, the assault on Gaza which was greeted with horror and protest around the world. She was not at the time a representative of the Labour Party and has apologized. She has been supported by her local synagogue who have highlighted good work done by her with them. We believe that her apology shows appropriate understanding of the offence caused. She does, however, illustrate how easy it is for those angered by illegal or inhumane Israeli actions to slip into making statements that may cause offence. Ken Livingstone was speaking in public (on a radio broadcast) and is an elected member of the Party’s NEC. His comments were clumsy and offensive, with an implication that some Jews were complicit in Nazi anti-semitic persecution. Again we would not wish to comment on any subsequent disciplinary action but we observe that Livingstone is a very experienced politician who has been known for his media savviness. Jackie Walker: is a Labour Party local elected officer and her comments were made in a semi-private arena (a conversation on facebook). The comments as reported were taken out of context. We are pleased that she has subsequently been reinstated but believe that her suspension was wholly unjustified. The widespread press coverage of her suspension, including the fact that the Jewish Chronicle ran the story before she had been informed, has led to her receiving death threats and racist abuse and wholly unjustified accusations of being a racist herself. We believe that her case exemplifies the need for due process at the point of suspension and that Jackie Walker has been treated very unfairly. We emphasise that anti-semitism is unacceptable, whatever the context or the intention of the speaker. It should always be challenged. We also repeat that we have encountered very little of it within the Labour Party or within the Palestinian solidarity movement. However, once an anti-semitic remark has been alleged, then consideration should be given to the context and to the speaker. We need to recognize that in the Labour Party there are many people, particularly those who come into politics fired up by injustices against Palestinians, many of them young, who do not understand the distinction between legitimate criticism of the state of Israel and blaming Jews for Israel’s actions. Most of them are willing and able to learn. Any response to an anti-semitic remark should take into account any apology and the speaker’s intentions in the future. Once disciplinary proceedings have been brought before the National Constitutional Committee, Appendix 6 of the Rules provide for appropriate due process. There is advance notice of the charge, particulars, summary of the relevant facts and disclosure of documents and names of witnesses, and appropriate time limits are built in. However, the disciplinary rules at Chapter 6 of the Rules do not provide for due process. In relation to any alleged breach of the constitution, rules or standing orders of the Party, the NEC may suspend an individual from office or representation of the Party and the General Secretary or other Party official shall investigate. Once the General Secretary has reported to the NEC, then the NEC may decide whether to bring charges, at which point Appendix 6 applies. In practice, suspension is not, as used currently in the Party, a neutral act. Jackie Walker’s case illustrates this perfectly. The media, specifically the Jewish Chronicle, was aware of her suspension before she was. She was not told the reasons for her suspension. She first read about her comments in the Jewish Chronicle and was later told that there may be other matters. She was asked to come to an interview, initially at very short notice, without any knowledge, save for what she had read in the press, of what she was accused of. There was substantial press coverage leading to her being accused in public of being anti-semitic. She has received death threats and racist abuse and was the target of an astonishingly misogynistic and racist attack by Rod Liddle in the Spectator. This is despite the fact that, once she had attended the interview, she was reinstated. It is well known that once an individual has been subjected to smears in public, mud sticks. For those reasons, we believe that the Party has been too quick to suspend individuals from membership. We understand that where comments have been made in public, by a public representative, then immediate suspension can be the appropriate response, pending further investigation. However, in the case of individual members who are not representatives, and particularly where the alleged comments are not made in a public forum, the damage caused by suspension outweighs the possible benefits. Once an investigation has concluded, and the disciplinary process before the NCC commenced, then it may be appropriate to suspend. In addition, unless the person being investigated is a public representative of the Party, then we believe that they should be entitled to anonymity during the investigation process. They are entitled to know the content of any complaints made about them and to privacy. Party staff must be told that breaches of confidentiality in this respect constitute misconduct and will be dealt with accordingly. The Labour Party developed an excellent reputation in the 1980s for its commitment to combatting racism and promoting equal opportunities. We see the furore over anti semitism as presenting an opportunity to renew that and develop it further. We are concerned that an exclusive focus on anti semitism will actually be counter productive because it is undeniable that other forms of racism, homophobia, islamophobia, sexism are at least as prevalent. Privileging one may serve to alienate others, and weaken us all. And a fluent, pragmatic and forward looking approach will also acknowledge intersectionality. Jews after all may also face racism, sexism, homophobia or transphobia, and we live in families and communities affected by all forms of oppression. We hope that the recommendations in this inquiry can then be developed to address all forms of hate speech or actions. The JLM therefore excludes from membership Jews who disagree with its politics on the state of Israel, and it cannot claim to represent Jews within the Party. The focus on anti-semitism has created a demand for people able to advise or train on the issue, and we have seen several suggestions that the JLM should do this. That would be utterly inappropriate. It would create a real risk that Party members who oppose the JLM’s strong pro Israel stance (and many Jewish party members, like one of us, are in this group) would not be involved. It would conflate the fight against anti-semitism with promotion of Israel. That would not be of benefit to the Party or to those who want to fight anti semitism. We therefore support the call from the 97 to set up a Jewish section with the aims outlined in their submission. We have both taken considerable time out over the last couple of months to respond to enquiries from party members at all levels, many of whom find themselves struggling for the first time to understand and act on some of the complex issues raised. There is a real hunger in the Party for authoritative material, speakers who can facilitate honest, inclusive discussion and reflection and other resources. We hope that the inquiry can respond to this. We wish you all the best. Enforcing Housing Rights: the case of Sheikh Jarrah (Advocates San Frontiers 2011). Court of Appeal Judge Sedley LJ, now Sir Stephen Sedley, said in Redmond-Bate v DPP  HRLR 249, CA: “Free speech includes not only the inoffensive but the irritating, the contentious, the eccentric, the heretical, the unwelcome and the provocative provided it does not tend to provoke violence. Freedom only to speak inoffensively is not worth having. What Speaker”s Corner (where the law applies as fully as anywhere else) demonstrates is the tolerance which is both extended by the law to opinion of every kind and expected by the law in the conduct of those who disagree, even strongly, with what they hear. From the condemnation of Socrates to the persecution of modern writers and journalists, our world has seen too many examples of State control of unofficial ideas. A central purpose of the European Convention on Human Rights has been to set close limits to any such assumed power. We in this country continue to owe a debt to the jury which in 1670 refused to convict the Quakers William Penn and William Mead for preaching ideas which offended against State orthodoxy.” . We note also that some of those most active in making statements on anti semitism in the Labour Party were also called as witnesses in an important employment tribunal case in 2012/3 in which the UCU was accused of anti-semitism by a member. No such finding was made by the tribunal and its judgment includes some trenchant criticisms of both John Mann MP and Jeremy Newmark, now chair of the Jewish Labour Movement. The Infidel, whose writer, David Baddiel, pointed out the origins of the tweet. The film is described by one critic as “An admirably cagey effort to mine humor from the thorny cultural and racial divide that is Muslim-Jewish relations.” And by another as “a wish to offend without being offensive”. We should declare that Jackie Walker is a friend of ours. She is also of mixed Jewish and Black descent and the comments publicised were reflections on the difficulties and dilemmas that poses. The Queen’s Speech announced the government’s intention to consult on repealing the Human Rights Act and replace it with a British Bill of Rights. But implementing this manifesto commitment has proved trickier than ministers imagined. The fundamental problem with their plan is that no one knows which of the rights in the Human Rights Act – derived from the European Convention on Human Rights – would be lost. Would a British Bill of Rights not contain protection of a person’s right to life? Would Britain no longer prohibit torture, or inhuman or degrading treatment? Do we want to repeal the prohibition of slavery or forced Labour? And so on. Inside Housing readers will want to know what impact abolition of the Human Rights Act might have on social housing tenants. It is, of course, difficult to answer that question without knowing what such a bill might contain. The Human Rights Act gives some tenants extra protections. However, we know some social housing tenants have gained some additional protection as a result of Article 8 of the European Convention on Human Rights. It requires any public authority – government, local authority and generally housing associations – to have regard to a person’s right to respect for his or her home, private and family life. What does that mean in practical terms? It does not mean that someone has a right to a home. 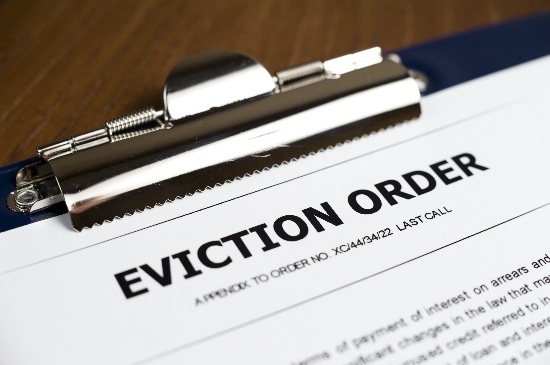 It means that where someone is facing eviction, both the public sector landlord and the courts should consider whether the eviction would be proportionate, for a legitimate aim, lawful and necessary. For secure (council) and most assured (housing association) tenants, then any possession proceedings brought against them require their landlords to prove that there is a factual ground for possession (usually rent arrears or anti-social behaviour) and that it is reasonable to make an order for possession. The courts only need to consider whether or not it is reasonable means. However, where social housing tenants face eviction based on mandatory grounds for possession, where there is no provision in any of the housing acts for the courts to consider a tenant’s personal circumstances, Article 8 can make a difference. Those mandatory grounds for possession are used against non-secure tenants (usually homelesshouseholds housed under homelessness duties), introductory tenants, demoted tenants, the new category of flexible tenants, or, against assured tenants if there are eight weeks’ rent arrears. They are also used against people who lived with council or housing association tenants, but were not entitled to succeed to the tenancy after the tenant had died. In a landmark case called Pinnock v Manchester City Council, the Supreme Court decided that, in exceptional cases, Article 8 could allow a social housing tenant or occupier facing eviction to raise his or her personal circumstances in court, where otherwise, those circumstances could not be considered. The Supreme Court did not define what exceptional cases might be, and most of the cases in the higher courts have found that Article 8 did not prevent a social housing landlord from obtaining possession. But each case rests on its own facts. Article 8 is a useful long-stop where there are compelling personal circumstances why someone should not be evicted and would not otherwise be entitled to have his or her circumstances considered by the court. If – which is not at all clear – Article 8 is to be abolished some social housing tenants or occupiers will have lost valuable protection.